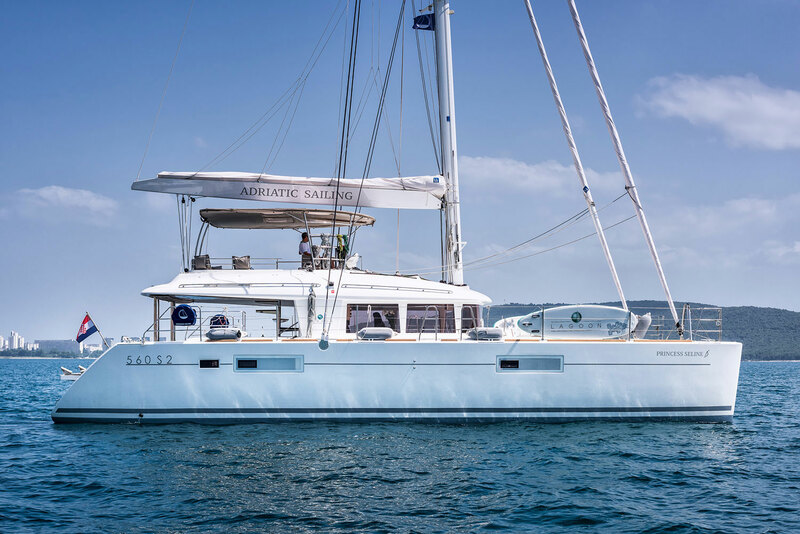 If you are looking for a solid built high-performance catamaran then the Lagoon 560 S2 is one of the best sailing yachts currently on the market. 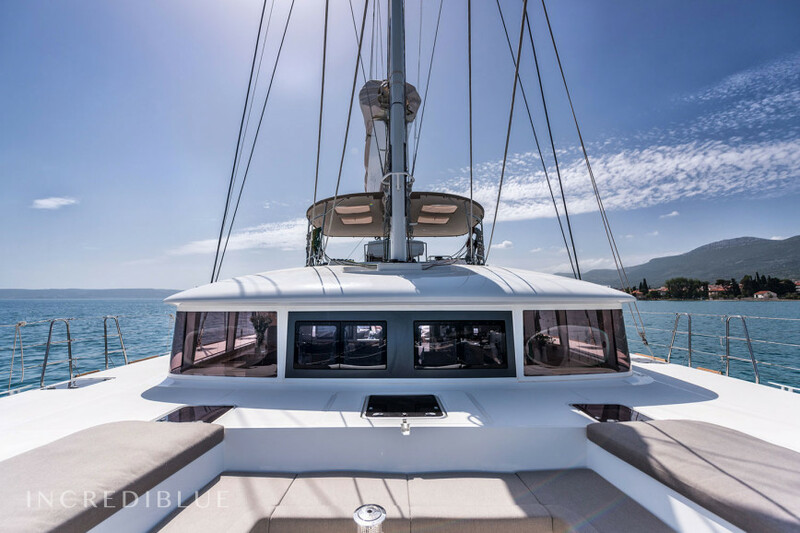 Whether you are vacationing with your family or wanting to invite guests, this catamaran is definitely a first-rate choice. 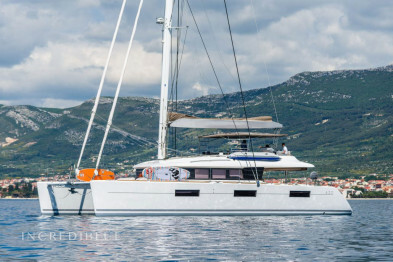 The 17 m long Lagoon 560 S2 is a sailing yacht and luxury residence in one. 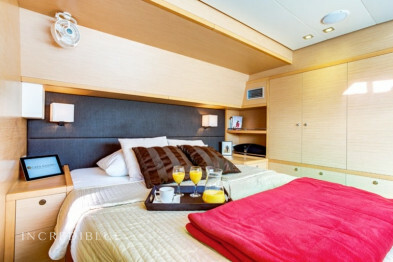 The Princess Seline can accommodate up to 8 guests. 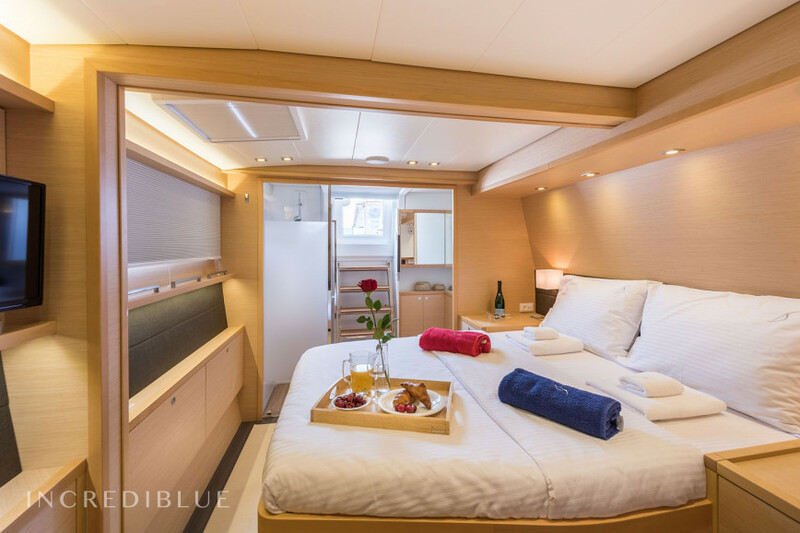 With 4 stylish and spacious double cabins, you will feel just as comfortable and exclusively bedded as in a 5-star hotel. 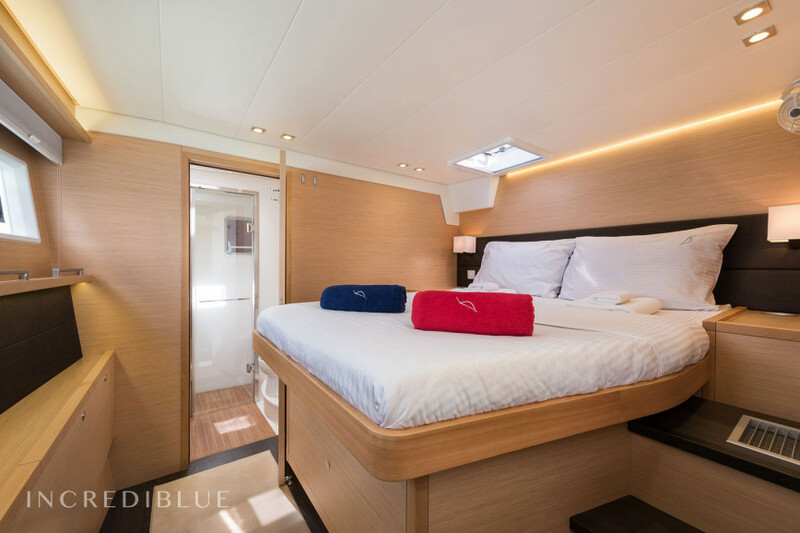 The separate cabins of the crew are located in the bow of the catamaran, which guarantees maximum privacy. 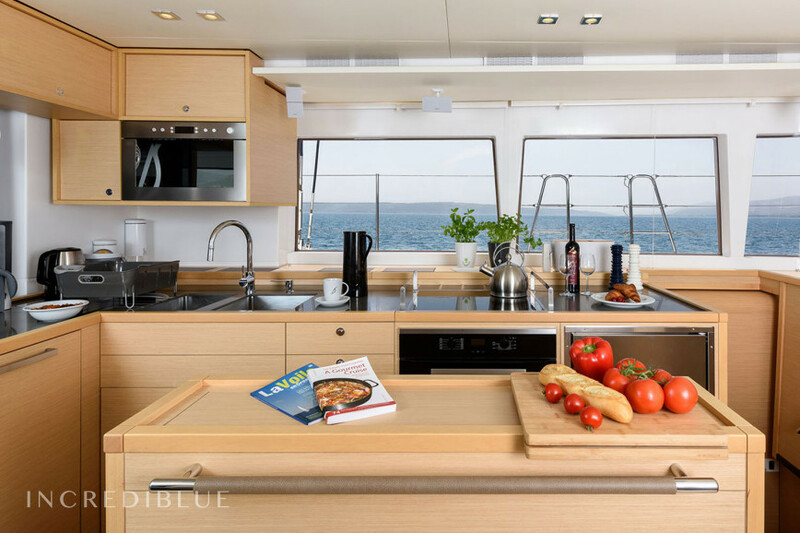 The front section of the catamaran offers unobstructed views of the sea, the light-flooded salon houses the kitchen and an exclusive dining area. 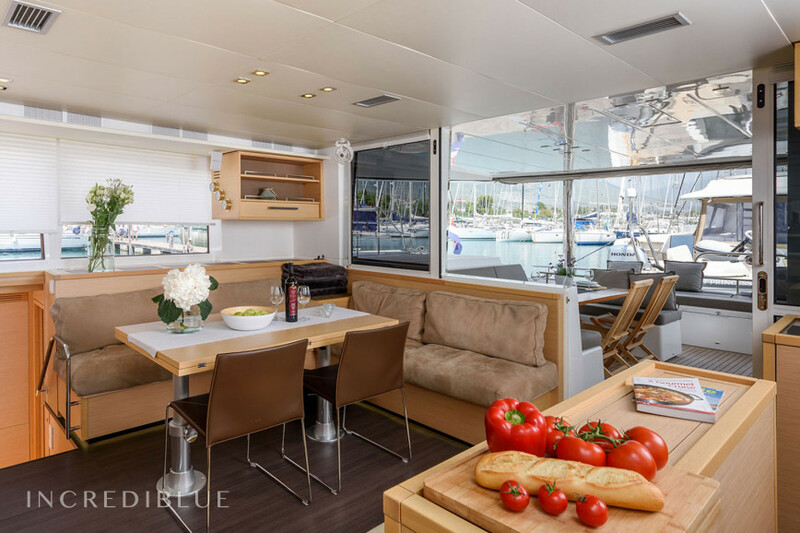 The covered back deck with wet bar is open to the rear and provides access to the two bathing platforms. 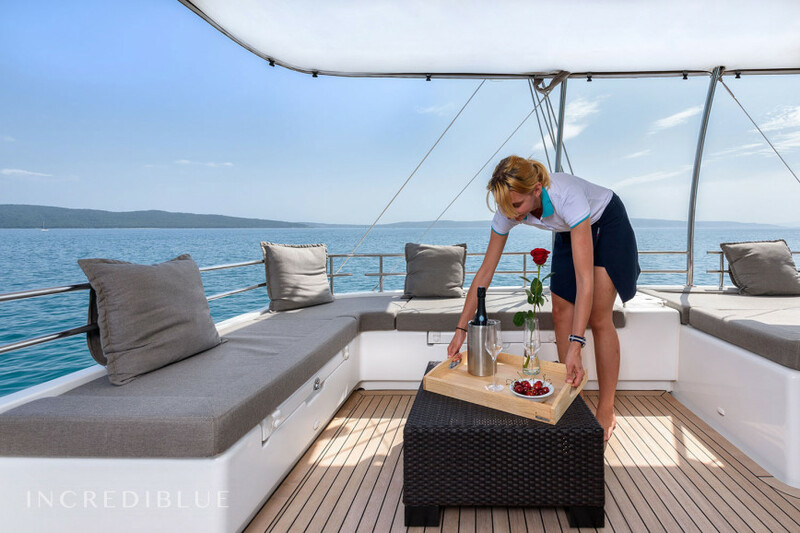 Both indoor and outdoor areas offer plenty of space for lounging and the opportunity to enjoy freshly prepared delicacies and delicious cocktails. 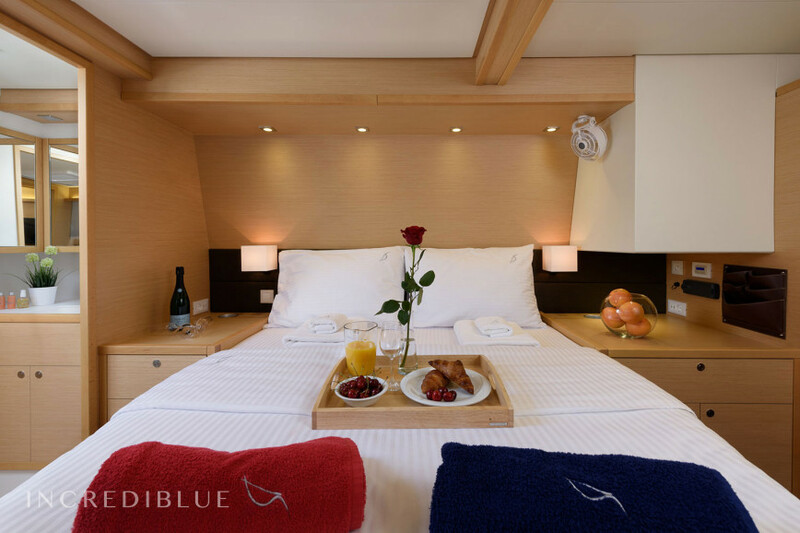 Here you can dine perfectly and end your evening in a stylish ambience. 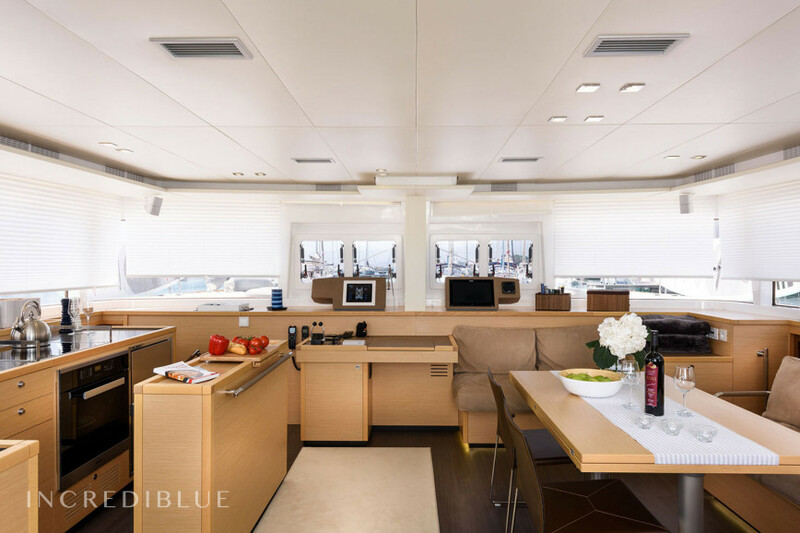 The overlying flybridge with Bimini is completely open and offers generous seating and sun loungers for your family and guests. 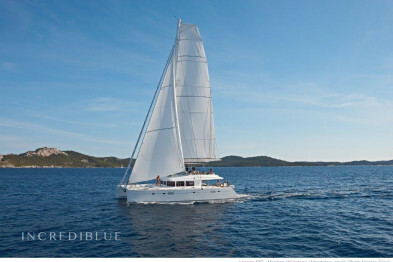 Relax on the two stretched nets on the bow while sailing over crystal clear waters. 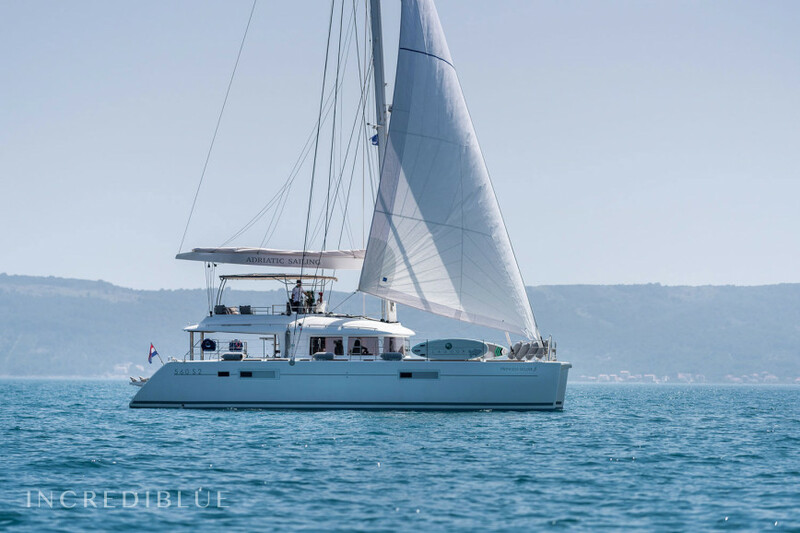 The Lagoon 620 offers various leisure and water sports equipment for you and your family. Paddle through turquoise lagoons on a kayak or on one of the two stand-up paddles or speed across the waves on water skis or a banana boat. 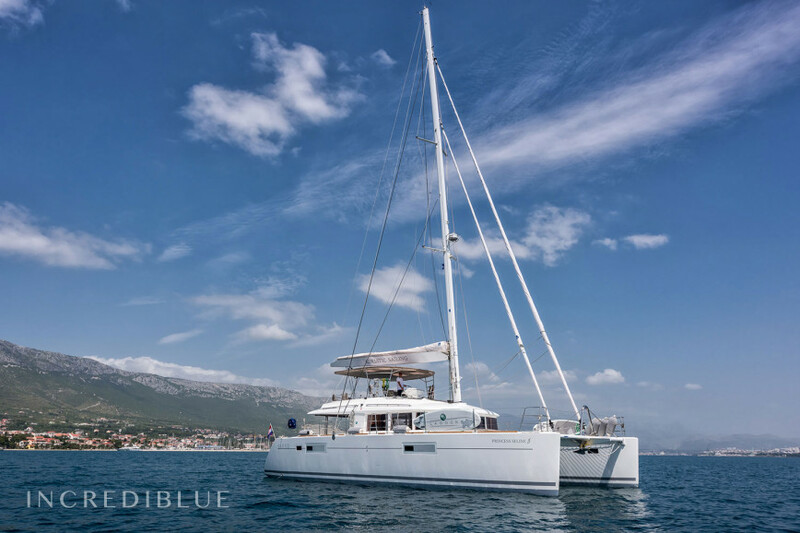 Discover the beauty of the underwater world while snorkeling and enjoy an incomparably good time in Croatia. 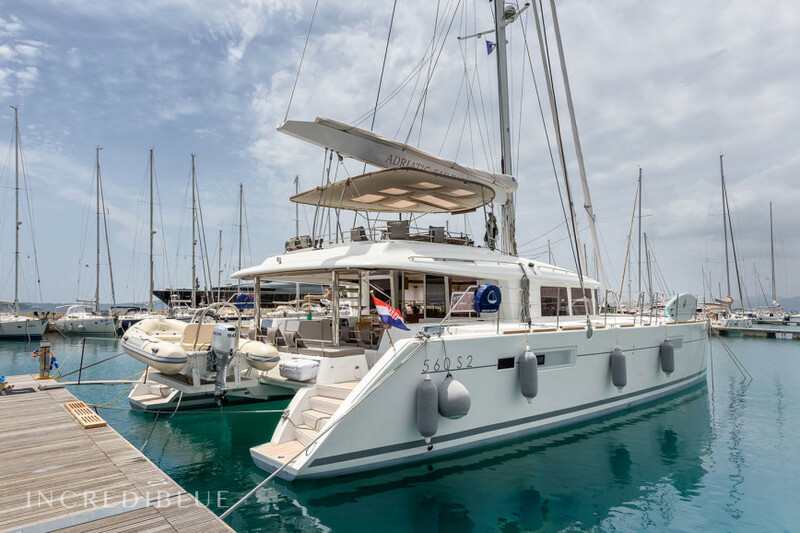 If you want to take it a bit more relaxed, the Princess Seline also offers a bike for exploration on land or fishing equipment. 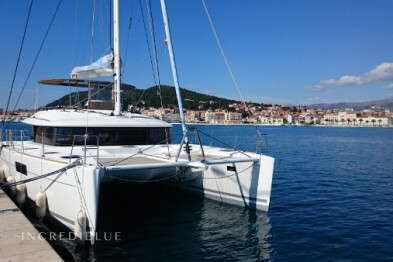 Comfortable and equipped with handrails and railing paths lead around the catamaran. Ideal when traveling with small children. 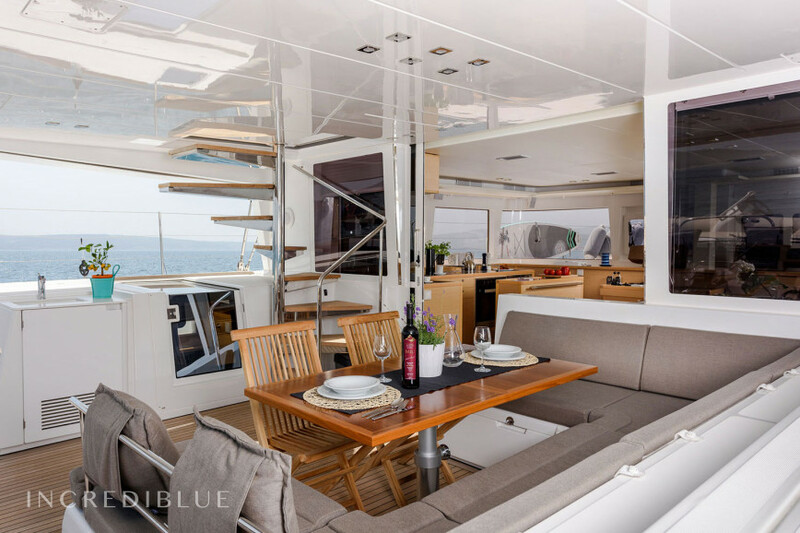 The flush-fitting decks and wide side decks convince with their practical design and optimal freedom of movement. 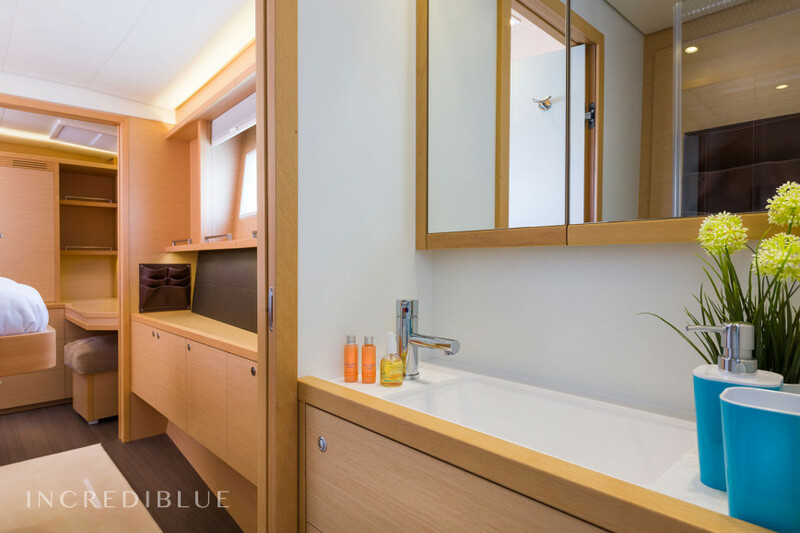 Special discount 35.00% From Feb 1, 2019 until Jun 7, 2019 (discounts cannot be combined) . Special discount 30.00% From Jun 8, 2019 until Dec 30, 2019 (discounts cannot be combined) . Special discount 10.00% From Nov 20, 2018 until Dec 30, 2019 (discounts cannot be combined) . Special discount 15.00% From Sep 14, 2019 until Oct 4, 2019 (discounts cannot be combined) . Special discount 20.00% From Jun 22, 2019 until Jun 28, 2019 (discounts cannot be combined) .